The theme of the day is tuxedos. Maybe I am just naive, but I would have never guessed tuxedos were so complicated! So many considerations that never came to mind. Lets start with the first consideration. 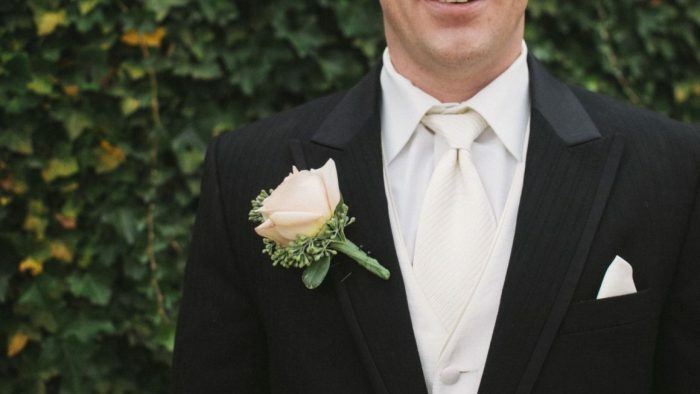 Is a tuxedo appropriate attire for your wedding? I’m often surprised how many people don’t know that the tuxedo is formal evening attire, suitable only for formal evening events. If your wedding is not in the evening (after 5 PM), consider the morning suit option if you wedding is formal or semi-formal. 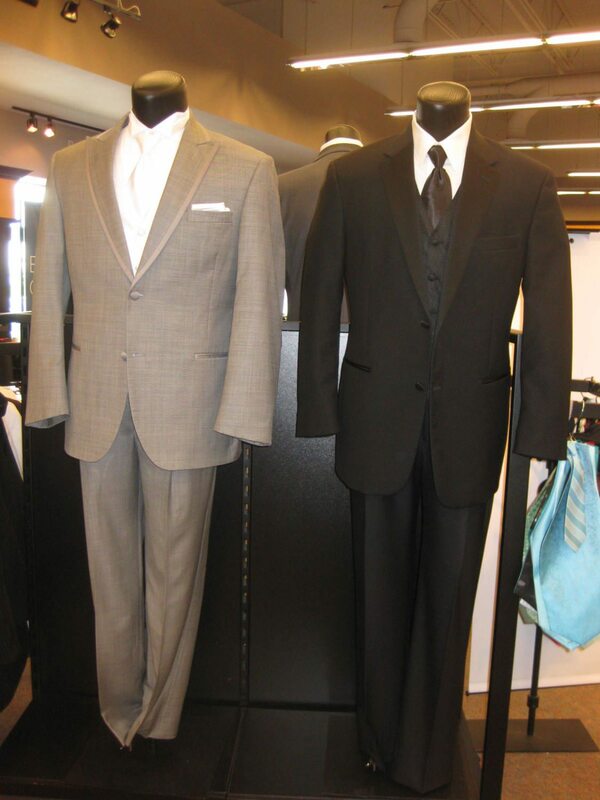 For informal weddings opt for suits in fabrics suitable for your weather and location. To rent or not to rent? 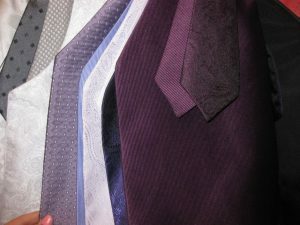 My fiancé and I went to a couple of tuxedos stores and from there we narrowed it down to one. Once we were in our store of choice we were speaking to the sales clerk about buying versus renting. 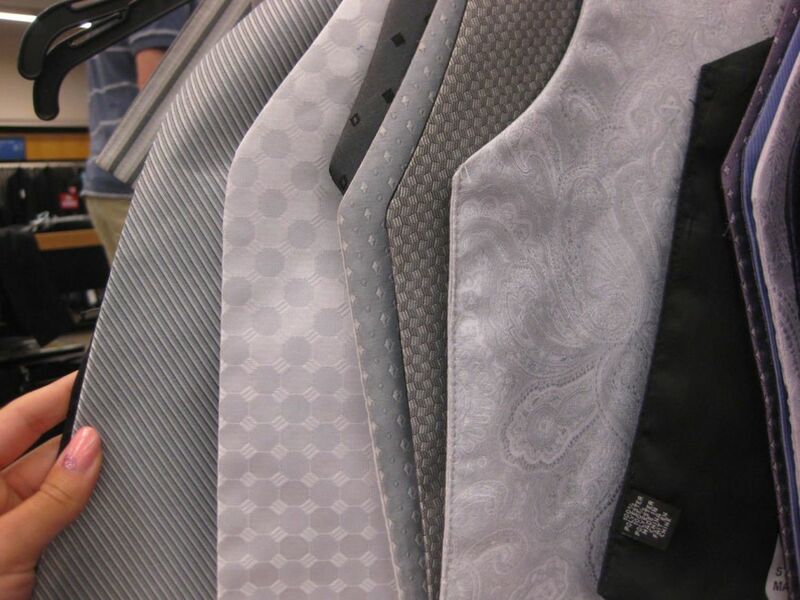 The advantage to buying is obvious – each purchaser gets to keep their suit. The disadvantage to buying is also obvious, and can be quite expensive. The cost of the jacket and pants alone can be more than double the cost of a full tuxedo rental. Then you need to by the accessories like shirt, tie, cuff links, shoes, etc. Based on the cost, we decided to go with the rental option. Again – style. When you are in a tuxedo store you don’t realize how many variations of tuxedos there are! Long coat tails, short coat tails, black, white or gray and, oh, let’s not forget the multitude of colors for the cummerbunds. Do your homework and don’t just rely on the shop salesperson to guide you to the correct style. It’s surprising how many don’t know what is appropriate. We were speaking with the consultant in the store and it quickly became obvious that this is not a one time visit. I think it takes at least 5 visits; once to make the style choice and deposit, second to have the color consultations, third to get measured, fourth to pick up the tux and lastly to make the return. All we got accomplished this time around was putting down the deposit. Be sure to have your groomsmen’ numbers and names – even if it is an approximation. We haven’t finalized the size of the wedding party yet but we did have to provide the names and roles for each person when we put our deposit down. My recommendation is to go with a store that offers the flexibility of putting down names and the option of adding or subtracting without being penalized. We wrote down 11 names, everyone we are considering from the groomsmen, to the ushers and, of course, our little ring bearer! Our names are not set in stone and its obviously a decision we will have to revisit soon. I also have a feeling this conversation about who should versus who should not be in the wedding party will be prickly. 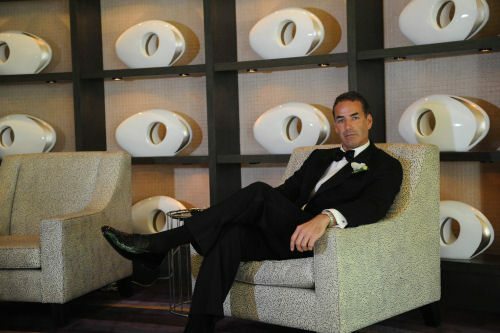 There is so much to consider – number of guests invited + formality of wedding (yes, this determines the number of groomsmen needed), history, family, friends, reliability, public speaking ability. (Note that, while it is nice if the number of groomsmen perfectly match the number of bridesmaids, it is not imperative. 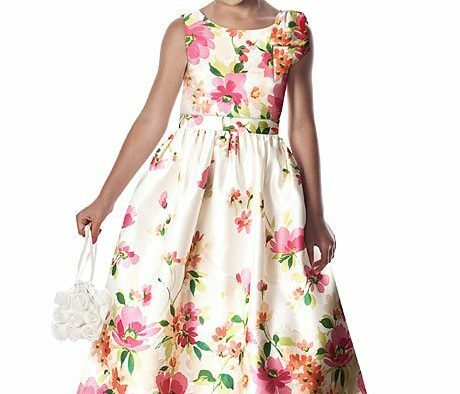 The sides can be uneven and bridesmaids or groomsmen doubled up with the opposite side for escorting purposes). 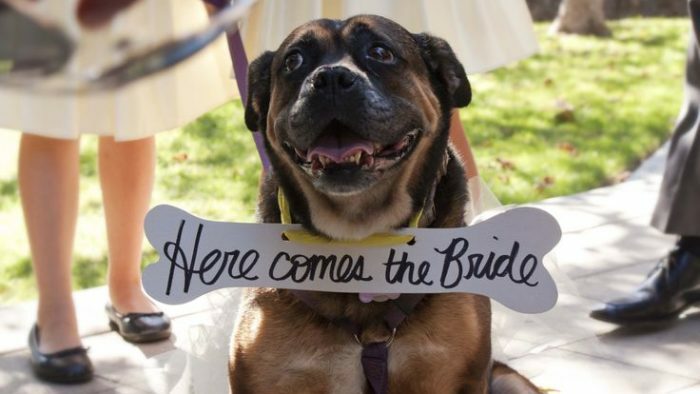 In order to stay focused, I am constantly reminding myself and my groom that this day is about love. If we stay strong together we will plan the wedding of our dreams and, hopefully, our family and friends will respect our decisions. 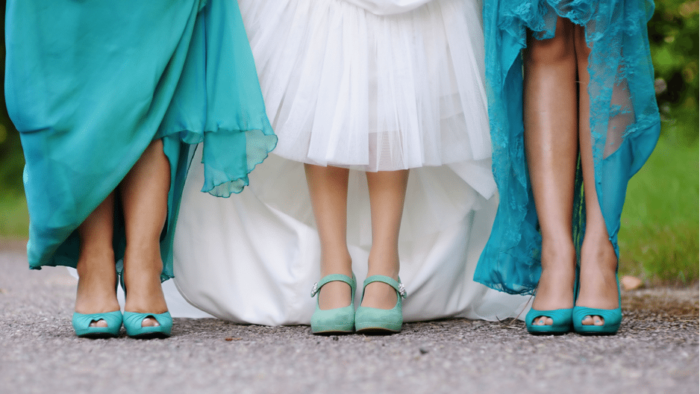 I hear from many of the brides I work with – the more people you allow to be involved in the decision making for your wedding, the greater the stress level. In my opinion, too many opinions is a recipe for disappointment and stress, two words that should never be associated with your wedding. What do you think? Sound off below!